Jeff Carlson has a new home for some of his projects. The new Photoversity site and imprint kicks off with his guide to Macphun’s tool for high dynamic range photography, Aurora HDR and Aurora HDR Professional: A Photoversity Guide. Jeff talks about how and why he created Photoversity and what he hopes to accomplish with it before diving into Aurora HDR and what it can do for your photos. This edition of MacVoices is brought to you by Drobo, a family of safe, expandable , yet simple to use storage arrays. Drobos are designed to protect your important data forever. Get $100 off a Drobo mini, Drobo 4-bay or Drobo 5N at Drobo.com/MacVoices with the code VOICES100. 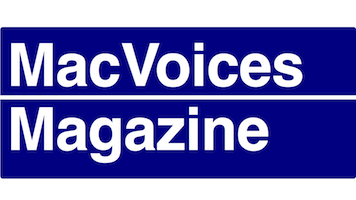 MacVoices Magazine our free magazine on Flipboard that helps you do more with your Apple tech. Author and photographer Jeff Carlson (@jeffcarlson, [email protected]) is a columnist for the Seattle Times, a contributing editor at TidBITS (tidbits.com), and writes for publications such as Macworld and Photographic Elements Techniques. 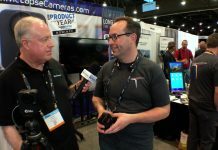 He is the author of The Connected Apple Family, The iPad for Photographers, Third Edition, iPad & iPhone Video: Film, Edit, and Share the Apple Way, and Take Control of Your Digital Photos on the Mac, among many other books. He believes there’s never enough coffee, and does his best to test that theory.